Music industry professionals are cordially invited to to attend our Reeperbahn Festival keynote interviews and matchmaking opportunities on 1 and 2 November, 2018 at Navel, Los Angeles! Reeperbahn Festival aims to strengthen the music business between Europe and North America. Music matches feat. keynote interviews with European and U.S. experts as well as one-on-one-meetings which shall connect executives from the publishing, recording, management and live music sectors of both sides of the Atlantic. The b2b programme will be curated in cooperation with the International Music Managers Forum (IMMF) and the German Publisher Association (DMV). The complete timetable will be announced in the middle of October on www.sequencer-tour.com. The music matches are accompanied by a Reeperbahn Festival showcase on Thursday, 1 November at Zebulon, presenting international new talents with Findlay (GB), Giant Rooks (DE), Mavi Phoenix (AT) and more acts to be announced! The full experience starts on 30 October with the opening reception of It Started In Hamburg, an exhibition by visual artist Klaus Voormann, at Navel, LA. The German musician and graphic designer, known for his intensive work with The Beatles, will display numerous of his graphic works at the Artspace Navel until 3 November. The Sequencer Tour comprises five events by the partners re:publica, next media accelerator and Reeperbahn Festival in Los Angeles, New York, Portland, Detroit and Austin, starting in October 2018. In the course of the Deutschlandjahr USA many transatlantic projects, events and workshops will take place in the US for one year. The initiative is sponsored by the Federal Foreign Office, realised by the Goethe Institute and supported by the Confederation of German Industries (BDI). The ANCHOR 2018 - Reeperbahn Festival International Music Award Show was extraordinary! Missed the ANCHOR 2018? Watch the Highlight Trailer online. 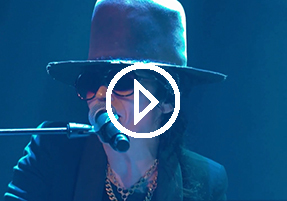 The special surprise of the Award Show was the live performance of ANCHOR Judge Linda Perry’s signature song "What's Up“ which she sang together with co-judges Skye Edwards and Cassandra Steen accompanied by the Kaiser Quartet. Watch their performance exclusively here. Reeperbahn Festival 2018 is over and we want to thank everyone who attended and contributed to an awesome festival and conference experience. 45.000 festival visitors in four days and 5.500 delegates from over 56 nations attended this year's Reeperbahn Festival. 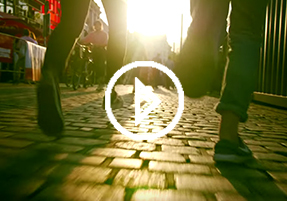 Relive four fantastic days full of highlights with the Reeperbahn Festival After Movie.